When we are young, our minds are programmed to subconsciously take in information that will help us to grow and develop. Language is a big part of the information we absorb, making it significantly easier to develop language skills in our early years. As adults, we have to consciously work to learn a new language, making it much more difficult to pick up quickly. Between the ages of 8 and 12, children lose the ability to hear and reproduce new sounds like they could before, contributing to the increase in difficulty toward learning a new language. For many different reasons, as we grow older foreign language acquisition, while not impossible, becomes increasingly more difficult. Gwinnett County, however, is taking steps to increase the exposure young students have to foreign language. Eight Gwinnett elementary schools – Annistown Elementary, Baldwin Elementary, Bethesda Elementary, Camp Creek Elementary, Ivy Creek Elementary, Meadowcreek Elementary, Trip Elementary and now Level Creek Elementary – have begun to offer an optional foreign language inclusion program for students beginning in kindergarten. The schools are using a program they call GSPS’ 50/50 Model, which calls for at least 50% of the daily curriculum to be taught in a foreign language. Two teachers, one who is fluent in the foreign language, will team teach math and science in the new language, while language arts and social studies will continue to be taught in English. With this collaboration, students will grow to develop proficiency in both English and the new target foreign language. 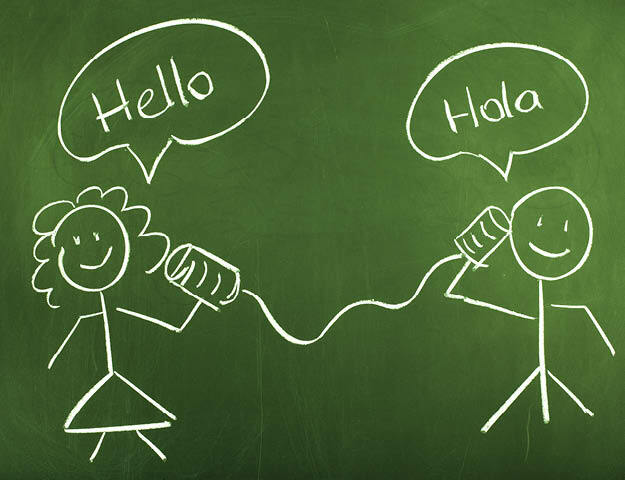 Students are expected to be fully bilingual by the time they graduate from high school. Enrollment in this program is voluntary and begins when the student enters kindergarten. Besides the obvious learning of a new language, the benefits of participating in this program are never ending for the students. With the students graduating bilingual, they will be prepared for the growing and evolving business world where it has become essential to be able to communicate with people from every part of the world. Knowing multiple languages has achievement, cognitive, and linguistic perks. In addition, language learning has been shown to correlate with higher academic achievement on standardized tests, better problem solving and memory skills, and overall higher intelligence. This growing program will continue to better the education of Gwinnett County Public School students and ensure that these children are receiving the best education possible. For more information on program details and how to register, visit gwinnett.k12.ga.us.